It is perhaps time to start questioning the agreement’s consociational foundations, which cement divisions while promoting a flawed macroeconomic agenda. With the signing of the Good Friday Agreement, Northern Ireland seemingly entered a new era of peace and prosperity. “There is a well of economic goodwill and potential inward investment out there just waiting for the right opportunity,” proclaimed Tony Blair when visiting Belfast in 1998. Twenty years on, such economic investment appears to have taken root – Belfast is now “quartered” around a series of new urban landmarks, its signs, and maps orientated towards a city of grand designs. There was, of course, nothing in the text of the Agreement that directly consolidated these economic ambitions. But the logic of peace and prosperity is nevertheless embedded in the political framework of consociationalism upon which post-conflict Northern Ireland has come to depend. The consociational model was developed by Arend Lijphart in 1968, but it was held to be inimical to Northern Ireland until being championed by political scientists during the peace process, and then implemented in the Good Friday Agreement itself. As a mode of government, consociationalism presupposes that a lack of political consensus can only be resolved through an exclusory system of power sharing. In Northern Ireland, this consists of sundering the political landscape in “two” (the watchword of the agreement) and then institutionalizing and harmonizing that division via the Northern Irish Assembly itself. As the Agreement states, Assembly members must designate themselves as either Nationalist, Unionist or Other and, when voting on “key decisions,” there must be “parallel consent” or “weighted majority” from Nationalist and Unionist members. Constructed on these terms, the Agreement reproduces a system where a sectarian division is an overdetermined problem. There is an uncomfortable alignment between this depleted form of politics and the economic imperatives it enables. While there is a distinct lack of economic provision in the agreement’s text, its constant positioning of Northern Irish identity as two separate groupings carries its own macroeconomic logic. Where the agreement promotes rhetoric of equality and reconciliation, the lived reality of post-agreement Northern Ireland is altogether different. Belfast might have sprouted a series of new commercial monuments (Titanic Belfast, the MAC, the Odyssey Arena), but they exist beyond the financial capability of the city’s many less affluent residents. For them, the urban feature that perhaps best encapsulates Belfast’s contemporary landscape is the peace wall – those seven-meter-high barriers designed to separate Northern Ireland’s putative “two communities.” Since the signing of the agreement, the number of these peace walls has risen by a third. Peace and prosperity this may be, but equality and inclusion it is not. The intractability of this situation is perhaps best understood if we recognize that the agreement was, in fact, the culmination of a far longer attempt to find a capitalist solution for the unhappinesses of the North. Daniel Jewesbury describes how, “since 1998, the new Northern Ireland has been undergoing something like the ‘shock’ capitalism foisted on the former communist states”. Yet despite its current reverberations – witness the £100 million Titanic Belfast – this sudden influx of capital is a process that cannot be confined to the post-conflict moment alone. Partly due to the persistence of ethnic-national division, and partly due to a prolonged dependency upon the British state, there have been numerous attempts to standardize and rationalize the Northern Irish economy. Indeed, for some, Northern Ireland has become a site of such “unproductive labor” that its subvention by the British state has made it “the most socialist region in the United Kingdom.” Though this subsistence policy may have allowed economic inefficiencies to persist, this was by no means its intention. In such contexts, we must take heed, not of capitalism’s desire for production, but rather its need for reproduction. The injection of capital may have proved unproductive, but its ambition – first and foremost – was (and still is) to create the conditions for capitalism’s continuance, to perpetuate its ideological inevitability. Understood in these terms, it becomes necessary to rethink the narrative of The Troubles. While historical assessments tend to delineate a neat timeline for the conflict (the birth of civil rights to the long war, the peace process to the post-Troubles period), a focus on the political economy demands attention to the continuities within this schema. Rather than perpetuate self-enclosed historiography, we should identify and examine convergences within the putatively discrete phases of Northern Ireland’s postwar history. An immediate and obvious starting point is to view the post-Agreement insistence on a consociational model of governance not as a new narrative of peace making, but as the latest evolution in a longer economic response to the conflict. 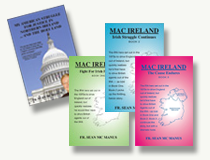 In this sense, the distinct shift to peace can actually be read as a continuation of earlier economic strategies – strategies that range from Roy Mason’s insistence that job creation would deal “a hammer blow to the IRA”, to Terence O’Neill’s infamous pronouncement that “if you give Roman Catholics a good job and a good house, they will live like Protestants”. The sectarian assumptions that underpin these policies are not without their own complexities, but Northern Ireland’s embrace of consociationalism’s economic logic warrants that they are at best displaced, at worst ignored. Loyalist protectionism and the British Empire were integral to Belfast’s industrial image and yet a project like Titanic Belfast – now at the vanguard of this post-Troubles dispensation – does not display such a divisive past. With the Agreement cementing such divisions in place while also promoting a macroeconomic agenda that denies the persistence of those social schisms, it is perhaps time to start questioning the Agreement’s consociational foundations. George Legg is a lecturer in liberal arts at King’s College London. He is the author of Northern Ireland and the politics of boredom: Conflict, capital, and culture which will be published by Manchester University Press in September. This article forms part of #Agreement20, an academic, public engagement project organized between the University of Salford and King’s College London, featuring a conference hosted by the Irish World Heritage Centre in Manchester and funded by the Department of Foreign Affairs and Trade on April 6th and 7th, 2018.